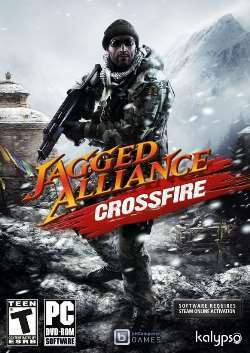 Jagged Alliance: Crossfire is a stand-alone extension to Jagged Alliance: Back in real life, and highlights every new guide, mercs and missions to test players' strategic ability. Procure and prepare new groups of soldiers of fortune, drop them into the snow-cleared scenes of the anecdotal country of Khanpaa, and put two rounds in the characteristics of the oppressors of the individuals. That is the place you come in! As the vital virtuoso behind your own Private Military Corporation, you've offered to help by acquiring your group of gifted hired soldiers to retake the tormented country of Khanpaa! Help the mistreated individuals by contracting a group of solidified weapons for-contract and get ready for the fight to come in misleadingly solidified mountain barren wasteland. Along the way, find why Khanpaa has been transformed into a wicked war zone and who intends to genuinely benefit.